Founded in 1924 by German designer Hugo Ferdinand Boss, HUGO BOSS is one of the market leaders in the upper premium segment of the global apparel market. 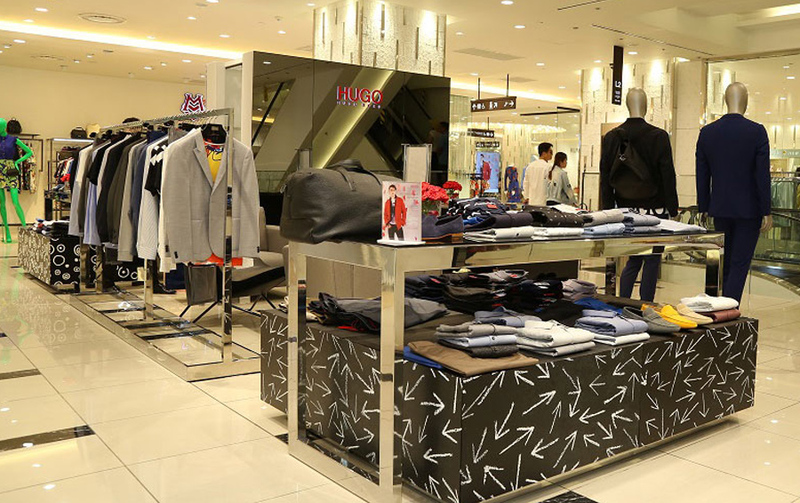 HUGO BOSS offers premium fashion and accessories for men and women. The HUGO collection is designed for those who take their own approach to style. It presents sharp cuts and clean designs that stand out from the status quo. With tailoring at its core and a strong casual influence, HUGO questions the established notions of menswear to create clothing with a bold attitude, ranging from modern tailoring to striking dresses and casualwear. Elegant, classic garments now have a more modern, stylish twist while still keeping the signature refined look. HUGO is for the creatively stylish with its use of vibrantly bold prints and contemporary cuts.